Hawaii is perfect any time of the year, but when summer begins to turn to fall, the Big Island becomes the place to be. With activities and upcoming festivals galore, fall is an active time on the island. The next couple of months will be filled with delicious, locally sourced food, contests, sporting activities and coffee. Check out these 5 fall Big Island Events that are sure to excite. 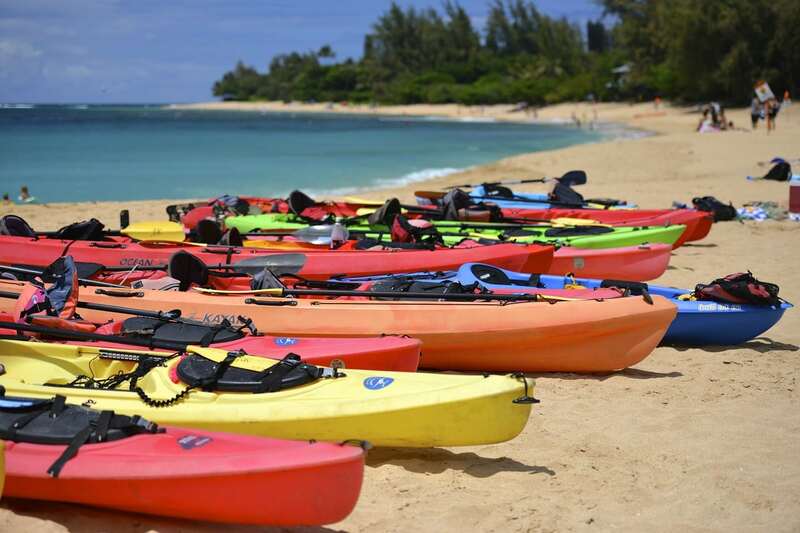 We love our watersports in Hawaii. Starting today, the Kai Opua Canoe Club will host the 2016 Queen Liliuokalani Long Distance Outrigger Canoe Races. Crews from all over the world are anticipated o compete in the races. Competitors in this year’s race are coming from Australia, Canada, Hong Kong, Japan, New Zealand, Peru, Tahiti, United Kingdom and from the US. But this weekend is about more than just canoe races. Other official Queen Liliuokalani Canoe Race events include Historic Kailua Village Cultural Walk, Paddling Talk Story, Native Artist Fair, Torchlight Parade, Stand-up Paddleboard Race, and more. Festivities begin September 1st and will go through September 5th. You can get the race schedule and details about the festivities here. The Poke Contest will feature 40 contestants who prepared six pounds of poke each. From amateurs to professionals, contestants will prepare our traditional appetizer in a variety of ways to fit four different categories. Traditional poke, poke with soy sauce, poke with lime (seaweed) and cooked poke. The poke contest is a great way to sample our local poke creatively prepared by many different chefs. Birdlife on the island should be celebrated too. The 1st annual Hawaii Island Festival of Birds is a great representation of birdlife on the island. Featured birds will include endangered waterbirds and forest birds, migratory waterfowl and shorebirds including such notable species as Nene, Hawaii Amakihi, Omao, Hawaii Elepaio, Apapane, Iiwi, Hawaiian Hawk, Hawaiian Coot, and the endemic sub-species of the Black-necked Stilt, and Short-eared Owl (Pueo). Several established non-native species will also be represented. You can even join in on a hike to learn more about these amazing creatures in their natural habitats. Roast & Roots is the perfect event to bring Hawaii coffee and farmers together. This event features coffee and many different types of food that has been locally produced. This is the perfect place to celebrate and support the movement to “buy local”. The event features judged cooking challenges, food tastings and sampling the best Hawaiian coffee. Cruise thorough the artisan booths and enjoy Hawaiian entertainment. The Cool Fusion: Festival of 1000 Bowls is all about individually handcrafted ceramic bowls. Prior to the festival, artists volunteer their time and talents to create, fire and glaze the 1000 one-of-a-kind ceramic somen noodle bowls. The beautifully finished bowls are then arranged on tabletops at the event where attendees can choose the perfect bowl for themselves just before enjoying lunch made of somen noodles, homemade broth and chopped veggies that include ginger, carrots, cucumbers, and shitake mushrooms. Guests can keep their personally selected bowls and even purchase additional handmade pieces. The fall Big Island events may just be getting started, but there are many more to come over the next couple of months. The last part of the year is a great time for exciting festivals and activities on the island. And the fall Big Island events start now.